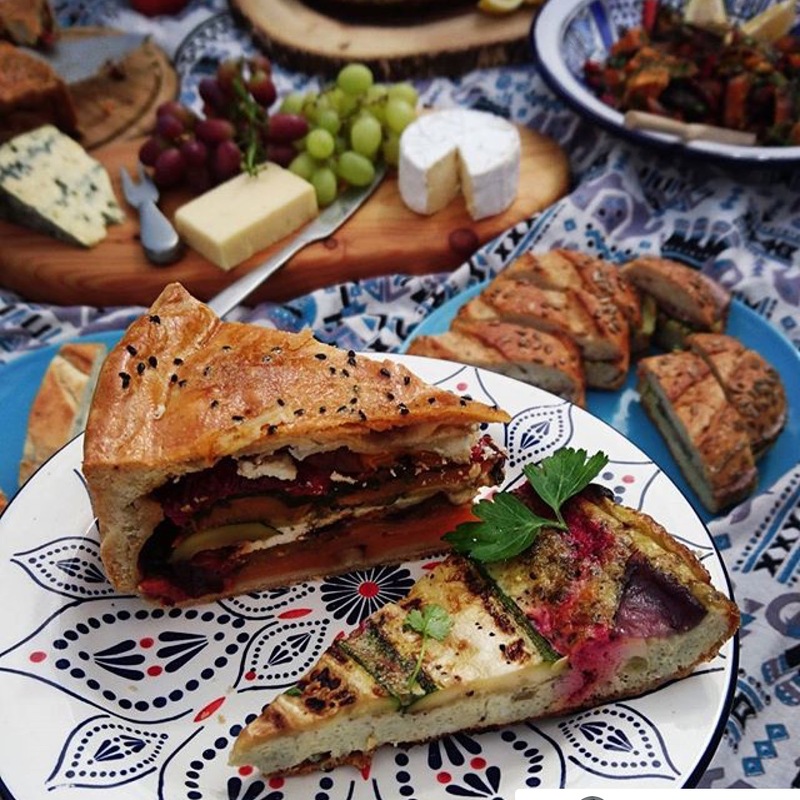 Whether you are having a 50’s rock and roll inspired wedding or a roaring 20’s wedding party, picnics can be a great wedding breakfast to suit any budget, theme and flavour palate. Many of my clients have asked for picnic style wedding breakfast. I love creating bespoke picnics for them as it means they can choose the food they love and want to eat on their wedding day. It is always exciting for guests to dive in and unwrap the food and gets people chatting . You can have a great selection of food to please all tastes. Accessorise…You can dress them up in whatever era your wedding is themed around, they are great with vintage teas. Relaxed… no silver service three course meals here. 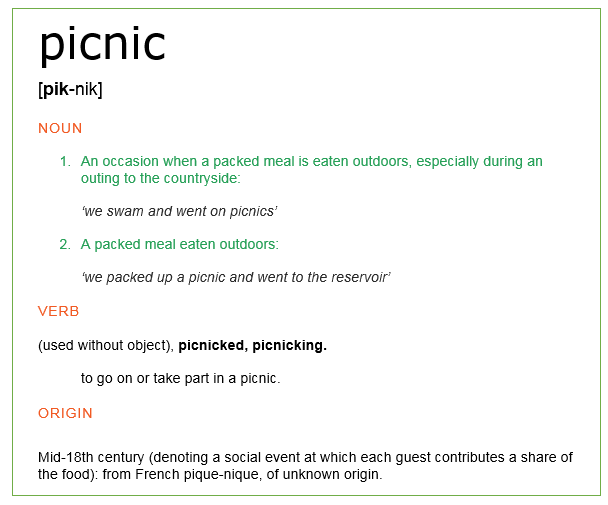 Did you know you can hire picnic baskets for the event? 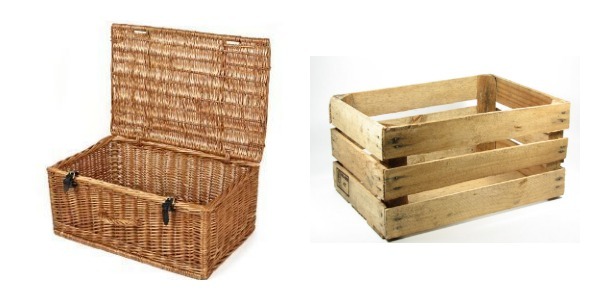 Or upcycle old fruit crates! 7. 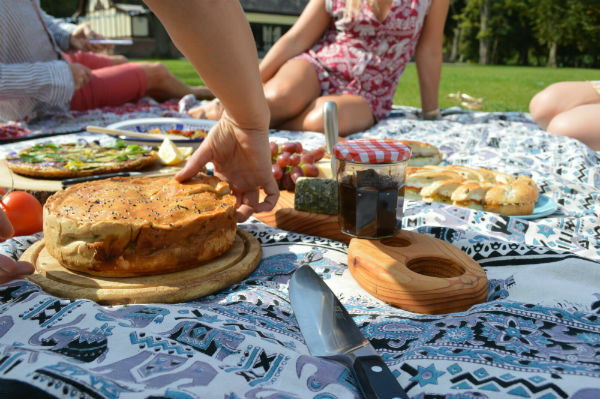 Ideal for catering for lots of people on a budget – You can even ask your guests to bring something along to share at the picnic and hope the sun shines on your big day! Salads – and this doesn’t just mean tomato and iceberg. There are so many exciting flavours that will tantalise your guests taste buds. Meats, gone are the days of roast beef cooked for 10 hours straight.. Try my harissa spiced flat iron steak in your picnic basket selection. I love offering a great charcuterie selection to my clients. Sandwiches, for me triangle rules over square! Vegware and Little Cherry are where I get my eco-friendly and disposable crockery and cutlery. Want to know how Taste the Love can create a bespoke menu for your big day?